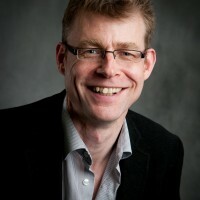 Sean has been Chief Executive Officer of ALONE since 2008. During this time ALONE has more than trebled the amount of older people supported to age at home. This is a response to meet the increase in demand from an ageing population. Sean has ensured that, through this time of growth, the organisation has remained true to its original aims by continuing to be both effective and compassionate and ensure all decisions are person centred. This ethos is reflected through every level of the organisation. Sean strongly believes that partnerships are the way forward and has recently expanded ALONE to provide training, and direct services to several other NGO’s. ALONE is now leading several alliances to help consolidate the non- profit sector and to ensure people have access to quality services. Prior to ALONE, Seán was a director of services for a large homeless charity and has worked with various drug task forces. He also ran a project management business which delivered training and strategic planning services to various charities and non-profits. Seán worked in management at director and owner roles for many years in the private sector across a range of manufacturing and services sector. His dual experience of the private and charity sectors gives Seán an insight into the importance of delivering real outcomes and maintaining quality standards. He believes that ALONE and all charities should be accountable, transparent and bring real changes to the lives of those who need help. During his time with ALONE the organisation has achieved the internationally recognised ISO Quality Standard, as well as the Investing in Volunteers and Quality in Befriending awards . ALONE is also compliant with the ICTR standards in fundraising, and has signed up to the Governance Code, Charity Regulator and Housing Regulator. Seán is also active on a number of national steering groups within the charity and older person’s sector. 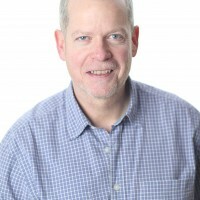 Eddie Matthews is Chairperson of ALONE’s Board of Trustees. He became a member of the board in 2014 and was subsequently elected chairperson at the end of that year. As well as chairing the board of trustees, Eddie sits on the Finance Sub-committee. Eddie spent 40 years working in the Irish Health Services until retiring in 2011. During that time he worked in Acute General Hospitals and held a number of senior management positions including Director of Services for Older People and National Planning Specialist for Social Inclusion. He continues to work in a part time capacity as a Health and Social Care Specialist, working with a various organisations on health service planning and development issues such as general social inclusion, homelessness, addiction and older people. 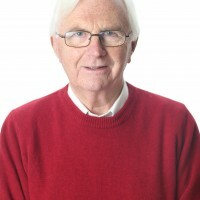 As well as Chairing ALONE’s Board of Trustees, Eddie is also Chairperson of the Ana Liffey Drug Project and a board member of Coolmine Therapeutic Community Addiction Service. His depth of knowledge on the complex issues facing older people in Ireland is a major asset for ALONE. Annette is the board’s current secretary, a position she has held since 2012. She began as an ALONE volunteer in 2006, and worked her way up the ranks of the organisation, becoming a volunteer mentor and member of ALONE’s volunteer leadership in 2011. Annette has a strong background in advertising: she previously worked as head of client service and account director before becoming a freelance account director. 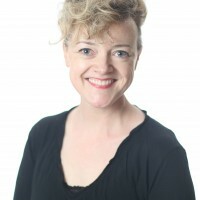 She has an MSc in Advertising from Dublin Institute of Technology and previously lectured on this subject in DIT. Pat has been a member of ALONE’s Board of Trustees since it was established in 1981. 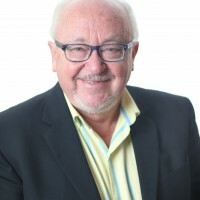 He has been with ALONE since its foundation and after Willie Bermingham’s death in 1990 managed the organisation until Sean Moynihan was appointed in 2008 as the organisations first CEO. Pat worked for 40 years in Banking and Finance and has a broad knowledge of property acquisition, as well as the duties of Executors and Trustees. He served on a number of school boards as Treasurer, was Chairman of his Parish Finance Committee and Treasurer of a philanthropic trust. He currently sits on ALONE’s HR Sub-committee. Since retiring, Pat has dedicated himself to his great loves: gardening, golf, grandchildren & his wife Mary. Jeremy began volunteering with ALONE 10 years ago as a Befriender, a role he continues in today. He is also a Volunteer Mentor, which involves linking in with and supporting new and existing Volunteers in their Befriending role. As one of the representatives of the Volunteer Leadership group he was elected to serve on the ALONE Board of Trustees in 2013. In this position Jeremy endeavours to give volunteers a voice on the Board. He currently sits on the HR Sub-committee. Jeremy worked as an actor and drama teacher for many years before deciding to change careers in 2013. Since then he has been a Community Healthcare Assistant in North Dublin. He has just returned to full time education in Trinity College Dublin to study Social Work. Jeremy is a long standing member of Clonliffe Harriers AC and whenever he can squeeze a spare moment from the day, Jeremy laces up his runners and takes to the roads. Joe Sheehy has been a Trustee of ALONE since 2014. Currently Global Brewing & Governance Director with Diageo, Joe has had a career in manufacturing & global governance for 30 years. He began as a trainee brewer with Guinness Ireland and later became a Master Brewer for the Guinness Group. He has worked with this company in Ireland, UK, Nigeria and USA over this period. Key strengths which he brings to ALONE are strong governance and strategic planning delivery. In addition Joe has a lifelong record of volunteering in the charity sector alongside his professional career, from assisting after-school homework clubs in inner city areas to taking 3 years out of manufacturing and working in Bangladesh and Somalia. 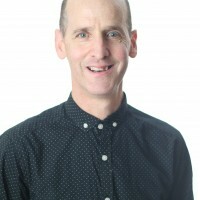 Married with 4 children and living in Dublin, Joe aspires to help ensure that ALONE delivers for growing numbers of older people in need without any dilution of the wonderful ethos of the organisation and of the quality of the services provided. Eimear is an experienced Chief Financial Officer (CFO) with a broad set of financial, strategic and people management skills. A chartered accountant, she is co-founder and CFO of Vivid Edge Limited, a start-up whose goal is to change the way energy efficiency projects are funded and structured globally. 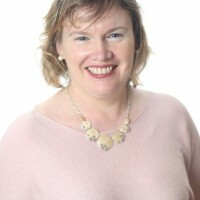 Eimear has a Bachelor of Commerce degree from University College Dublin, a Masters in Accounting from The Michael Smurfit Graduate School of Business, and is a Fellow of the Institute of Chartered Accountants in Ireland. Eimear has been involved in voluntary work for many years and is very interested in positive ageing. She has brought her expert skills in finance and management to ALONE since initially joining the Board of Trustees as an observer in 2015. Ed is the Director of Credit Institutions Supervision in the Central Bank of Ireland. 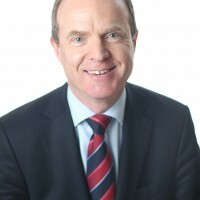 He is Ireland’s alternative member of the Supervisory Board of the Single Supervisory Mechanism, the body responsible for the oversight of banks across the Eurozone, and is also a member of European Central Bank’s supervisory board. Ed has been working in financial services for more than 20 years, primarily in risk management roles. He joined the Central Bank in 2012, having previously worked in the UK Financial Services Authority, Bank of Ireland and PricewaterhouseCoopers (PwC). Ed began his work with ALONE as an observer on the Board in 2015 and sits on the Service & Governance Sub-committee. Through his risk management, governance and financial expertise and experience, Ed supports ALONE in its critically important mission of helping older people. 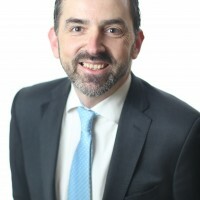 Ciarán has been involved in Geriatric Medicine for over 20 years and is a senior Consultant in Geriatric and General Medicine at Beaumont Hospital, Dublin. In addition to his clinical role, he helped establish specialist multidisciplinary care teams and services for older people at Beaumont Hospital and St Joseph’s Hospital, Raheny. Dr Donegan and his teams are committed advocates for supporting older people to age in their own homes and communities for as long as possible. He has also been involved in helping promote healthy active ageing for all older people. Dr Donegan is actively involved in medical education and teaching, and lectures in Geriatric Medicine at RCSI. 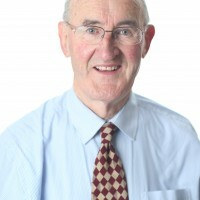 Ciarán Donegan was a member of the National Council for Ageing and Older People (NCAOP) from 2002 until 2005, and was the Chair of the NCAOP from 2005 until 2010. He was also a Director in Age & Opportunity from 2005 until 2010. He is currently a Board Member of Beaumont Hospital Foundation since 2010. Dr Donegan began his work with ALONE as an observer on ALONE’s Board of Trustees in 2015 and sits on the Service & Governance Sub-committee.